The US has introduced sanctions against what it called a network of petroleum shipments to Syria, including Russian and Iranian companies and individuals. Washington says it wants to disrupt shipments to Syrian-owned ports. Six individuals have been sanctioned over oil shipments to Syria, the US Treasury Department has said. Three institutions have also been sanctioned. In addition to the fresh measures, the US Coast Guard has issued an advisory warning of “significant sanctions risks” on petroleum shipments to Syria. The US has promised that it will “disrupt” any attempted shipments to government-owned ports in Syria. The Treasury Department claims that the individuals and companies affected by the measures are involved in a “complex and malign scheme” to bolster the regime of Syrian leader Bashar Assad. It claims that oil is being imported into Syria from Iran in defiance of American sanctions. The Syrian government then allegedly transfers cash to Islamic militant groups Hamas and Hezbollah, at Iran’s direction. It claims that Russian companies act as middlemen, taking money from Iran to move the oil to Syria. In one case detailed in a Treasury Department press release, the Iranian central bank transferred money to an Iranian pharmaceutical company, hoping that its humanitarian name would throw US observers off the trail. That money was then allegedly wired to a Russian bank, then to a Russian company that shipped the oil from Iran to Syria. Along the way, the Treasury Department claims that Russian ships would switch off their GPS tracking systems to conceal the origin of their cargo. Once the cash is stashed in the Central Bank of Syria, it is then allegedly sent to Hezbollah and Hamas units operating in Lebanon and on Palestinian territory. While the operation is painted as a vast conspiracy unearthed by the US, the latest sanctions build on an ongoing campaign against Iran and its allies. When the US fully reimposed economic sanctions on Tehran earlier this month, it targeted the country’s banking, shipping, and oil sectors. Banks that provided services to Hamas and Hezbollah were slapped with sanctions, as were shipping companies that moved Iranian troops and supplies around the Middle East. Facing the threat of US penalties, the SWIFT financial messaging system cut the Iranian central bank off from its network a week later, making it even more difficult for the country to settle its import and export bills. Sanctions against Iran had been lifted under the 2015 JCPOA, or Iran deal. This guaranteed Tehran some sanctions relief in exchange for halting its nuclear weapons program. President Trump unilaterally withdrew from the deal in May, however, and has since reapplied all of the sanctions that it had lifted. TEHRAN (FNA)- Arab tribes, in a statement on Wednesday, declared their opposition to continued forced recruitment by the US-backed Syrian Democratic Forces (SDF) in Manbij region in Northeastern Syria. The Arab tribes issued a statement and firmly condemned the SDF's forced conscription of young men, saying that they will not allow their sons to join the militia. The tribes also demanded a general strike to grow more united against the SDF. A fresh wave of anger has covered the Arab tribes in the region as the SDF casualties in battle with ISIL includes 98 percent Arab fighters and only 2 percent Kurdish gunmen. The Arab tribes' opposition rose after the SDF announced that young men between the ages of 18-30 have to join the militia, or will be legally prosecuted. Last week, a commander of the US-supported Syrian Democratic Forces was killed in Manbij in Northeastern Aleppo. Media activists in Eastern Aleppo reported that a bomb was detonated on al-Jazeera road near Manbij, targeting and killing SDF's intelligence commander Morad. Reports from Manbij said that the SDF forces have increased forced recruitment from civilians recently, adding that actue shortage of fuel in the past week has angered the people residing in the region. Several SDF forces have been killed and wounded in sporadic attacks in the past few days. Relevant reports said that armed raiders targeted a base of the SDF known as al-Mahkamah in the town of Manbij, killing 3 militias and wounding several more. The SDF sent more gunmen to the scene following the attack, but, one of the vehicles of the convoy came under attack by unspecified attackers near the town's general hospital, leaving a number of SDF militias killed or wounded. Meanwhile, a number of the SDF gunmen were killed by unknown parties in Abu Qolqol region South of Manbij in recent days. 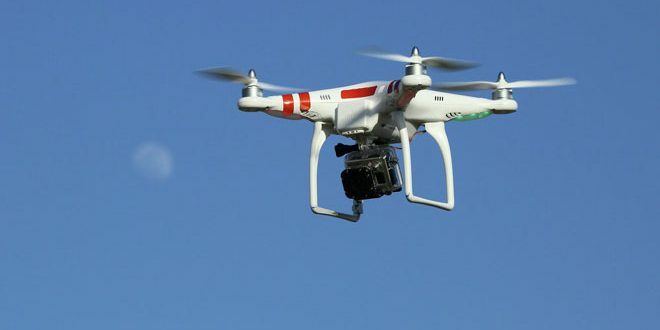 Damascus, SANA- Jabhat al-Nusra terrorist organization has obtained 100 drones through one of the Turkish merchants with the aim of carrying out terrorist attacks with chemical substances on civilians and positions of the Syrian Arab Army from Idleb. In a report published on Monday, Russian Sputnik Agency quoted local sources as saying that drones had been transported from Harem town in vicinity of the Turkish borders to one of the positions of Jabhat al-Nusra terrorist organization in Ma’ar Masrin town, about 9 km to the north of Idleb City. The drones were handed over to Moroccan and Libyan terrorists, the sources added. “Terrorists are working under the supervision of a British expert to make modifications on the drones to become lighter and to able to carry small shells loaded with toxic chemical substances,” according to the sources. On August 30th, Jabhat al-Nusra terrorist organization transported 200 drones from Sarmada area in Idleb Countryside to one of its positions in al-Muhandisin neighborhood in Idleb City as Turkish and Chechen experts made technical and electronic modifications on them, and the drones had entered the Syrian territories earlier from Turkey. On Nov. 25th, local sources and media reports revealed that Jabhat al-Nusra terrorist organization transported about 50 missiles and they were modified by French experts at one of al-Nusra’s positions near Idleb Central Prison, and the heads of the missiles became loaded with chlorine gas and they were distributed among terrorist groups in the countryside of Idleb and Hama. EXCLUSIVE: @EvaKBartlett sat down with the Grand Mufti of Syria, Dr. Ahmad Badr Al-Din Hassoun, scholar and highest official of Islamic law in Syria, to discuss coexistence, love, and an inclusive, nonsectarian Syria. You refused to lease your mind. You wanted to see the truth, and that is what I wish from all journalists in the world. that journalists were never traders of values and principles, whose dignity and values can be bought. So they write what they are told, and report what they are told, not the truth. 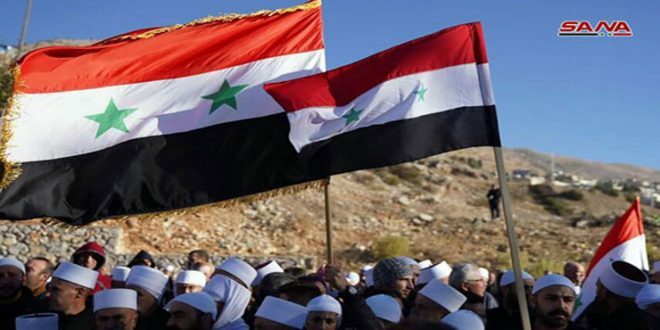 Quneitra, SANA- Citizens of the occupied Syrian Golan and Quneitra province reiterated confidence in the inevitability of fully liberation of Golan at the hands of heroes of the Syrian Arab Army who managed to eliminate terrorism supported by the Zionist entity. Marking the 37th anniversary of the baleful decision issued by the occupation authorities on December 14, 1981 on annexing the occupied Syrian Golan to the Israeli occupation, the locals of Quneitra and occupied Syrian Golan affirmed that all the occupation’s decision are null and illegal , stressing that Golan has always been Syrian. Speaking to SANA, the liberated detainee Sulaiman al-Maqt from the occupied village of Majdal Shams said that the locals of Golan rejected all the illegitimate Israeli laws and established public resistance, which was the first core of resistance against the occupation , indicating that all the forms of arbitrary arrests against hundreds of the locals in Golan have not dissuaded them from voicing rejection against the occupation and their adherence to belonging to their motherland , Syria. Hisham Sha’lan from Ain Qinya village indicated that the unjust decision clearly reflects the Zionist ambitions in this area of the Syrian territory and the disregard of Israeli occupation to all international and international resolutions related to the occupied Syrian Golan. Head of the Syrian Committee for Supporting the Syrian Detainees and Freed Prisoners in Israeli Jails, the liberated captive Ali al-Younis pointed out that the anniversary of the null decision coincides with the victories of the Syrian Arab Army on terrorism , in a step forward the liberation of Golan fully. The statement issued on 7 December appealed to the patriots of the Syrian homeland to challange imperialism and Zionism. Reminding that Syria has been subjected to Zionist wars for years to undermine Syrian national steadfastness, the statement pointed out that the current imperialist aggression seeks to maintain US influence through the military bases in the east of the Euphrates in violation of Syria’s ‘independence, sovereignty and territorial integrity’. ‘The abominable Turkish occupation is also legitimizing the dark reactionary stronghold on the valuable parts of the land of our homeland in the north of Aleppo’ said the statement. According to the statement, just as in the Atlantic war on Libya, Syria, Iraq, and Yugoslavia, the former French Foreign Minister Bernard Kouchner ‘sheds crocodile tears on the rights of Kurds in Afrin and other Syrian cities under the slogan of a hypocrite ‘anti-ethnic cleansing and demographic change’. Meanwhile this slogan disregards the global imperialist conspiracies, in particular those of US, British and French imperialism on the rights of the Kurds, also disregarding the historical memory of the region. The Syrian CP affirmed that the struggle of all the patriots of the country will keep Syria independent. SWEIDA, SYRIA – On July 25, 2018, ISIS terrorists attacked Sweida City and villages in the surrounding countryside. The ensuing massacre, one of the bloodiest of the eight-year Syrian conflict, went virtually unreported in the West. The U.S. coalition, illegally occupying Syrian territory, turned a blind eye as the ISIS terrorists that they claim to be waging war on entered the seven villages to the east of Sweida City that were targeted for wanton bloodshed. At 4 a.m. the terrorist group approached under cover of darkness. They encircled each village, posting snipers around the villages and along the straight road that connects them all, to prevent civilians from leaving or coming to the aid of others. ISIS fighters entered homes and murdered civilians — even children as they slept, unaware of the horror that was approaching. In Shbeki a disabled child was beheaded as he slept. In Shrehi “the roads ran with blood,” according to resident of the village, H. Saab (his full name is not given for security reasons), who lost 35 members of his extended family in the attack. In September 2018, I visited three of the seven villages that had endured the July attack. Sweida is a province around 110 km to the south of Damascus. It is the home of the Syrian Druze community that has remained steadfastly loyal to the Syrian state and Syrian Arab Army throughout the regime-change war waged against Syria by the U.S. coalition, Turkey, the Gulf States and Israel for eight long years. Until this massacre, the Druze had rarely been catastrophically affected by the conflict. The SAA had successfully kept a check on ISIS advances into the heartland of this fiercely resilient province. H. Saab also suggested that ISIS may well have wanted to actually take control of the villages, as they would have provided a stronghold that was easy to defend, offering high-ground and networks of ancient caves and underground passageways that could be converted into bunkers and shelter from bombing and artillery fire. Sweida does have an other-worldly aspect to it: the vast stretches of desert, the hillsides dotted with fruit trees and the beautiful basalt mountain that rises out of the ground like a massive, glittering obelisk by the side of the road taking you towards this historically rich Byzantine region. Towns and cities date back to the first century B.C., during which time many were famous for the quality of their wines: Sweida was called Dionysias during Hellenistic and Roman times; Dionysus is the god of wine and the excellent reputation of this ancient wine-producing region persists today. In September, a pall of grief still hung over the villages, and an understandable anger at the bloodbath they had endured. The anger was largely directed at the U.S. and its allies, particularly Britain. The overriding sense was one of a massacre that could have happened only with the U.S. collusion and collaboration with the ISIS terrorist entity Washington claims to be combatting. The implications of this belief are huge — the raison d’etre of the U.S. coalition in Syria is the “elimination” of ISIS, yet here we have civilians telling us that, in their informed view, ISIS has been protected and its power multiplied by the U.S. in Al-Tanf. 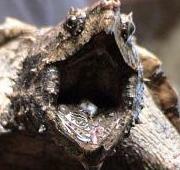 Much more to this, see link. WASHINGTON—In an abrupt reversal, the U.S. military is preparing to withdraw its forces from northeastern Syria, people familiar with the matter said Wednesday, a move that throws the American strategy in the Middle East into turmoil. The move follows a call last week between President Trump and Turkish President Recep Tayyip Erdogan, who has threatened to launch an assault on America’s Kurdish partners in Syria. Nobody saw this coming.......heh, the Kurds are in the soup again, some people never learn. The post above concerning Kurds defecting to the SAA falls right in with this. 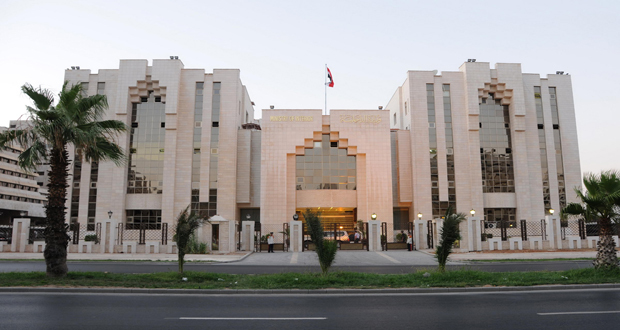 Damascus, SANA – The Immigration and Passports Directorate at the Interior Ministry issued instructions to its branches and all border crossing points to not detain any Syrian citizen who has overdue obligation for military service. According to the instructions, Syrian citizens coming through border crossing points who are overdue for reporting to mandatory or reserve military service are to visit their draft department within 15 days for citizens with overdue mandatory service or within 7 days for those with reserve service after entering Syrian territory. Damascus Countryside, Homs, SANA- In framework of the efforts exerted by the Syrian Government in cooperation with the Lebanese side, hundreds of displaced Syrians on Monday returned from Lebanon through the border crossings of al-Zamrani, Jdeidet Yabous and al-Dabbousyia heading for their villages and towns which have been liberated from terrorism by the Syrian Arab Army. 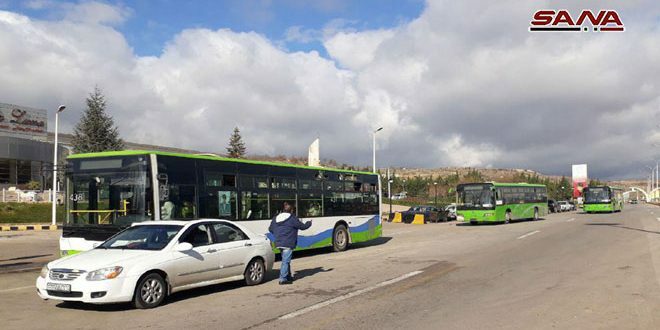 SANA’s reporters at the three border crossings said that Syrian buses entered the crossings of al-Zamrani, Jdeidet Yabous and al-Dabbousyia coming from the Lebanese territories with hundreds of citizens on board including women and children who had been forced to leave their homes by the terrorist organizations before they were eliminated. The reporters indicated that medical teams and cadres affiliated to the health directorates in the provinces provided the required health services to the returnees, particularly the anti-polio vaccines for children and other vaccines according to their age. In the area of western Qalamoun in Damascus Countryside, SANA’s reporter at al-Zamrani crossing said that a new batch of displaced Syrians returning from the Lebanese territories arrived in the crossing. He added that the authorities concerned took all the required measures to pave the way for them to return to their villages and towns which have been liberated from terrorism. Meanwhile, SANA’s reporter at Jdeidet Yabous crossing in Damascus Countryside said that hundreds of the Syrians who have been displaced by terrorists returned from Lebanon through the crossing on board buses, adding that they will be later transported to their villages and towns which have been liberated from terrorism. In Homs western countryside, SANA’s reporter at al-Dabbousyia crossing said that 17 buses with hundreds of displaced Syrians arrived in the crossing. He added that all the required measures for their entrance were taken by the authorities concerned, in addition to providing health services to those who are in need for them, particularly the children before the buses headed for their towns and villages which have been liberated from terrorism. A number of the returnees at the crossings expressed happiness over returning to the homeland, thanking the Syrian Arab Army for its heroism and sacrifices to liberate their villages and towns from terrorism. They hailed the efforts exerted by the authorities concerned to restore the basic services to their areas to help them to start to practice their normal life.